Boxing is one of the oldest and most popular summer Olympic sports. Boxing first appeared in the modern games in 1904 in St. Louis. The sport was not included in the 1912 games in Stockholm because Sweden banned it at the time. However, boxing returned to the Olympics for good in 1920 and has produced some of the games' most enduring memories. 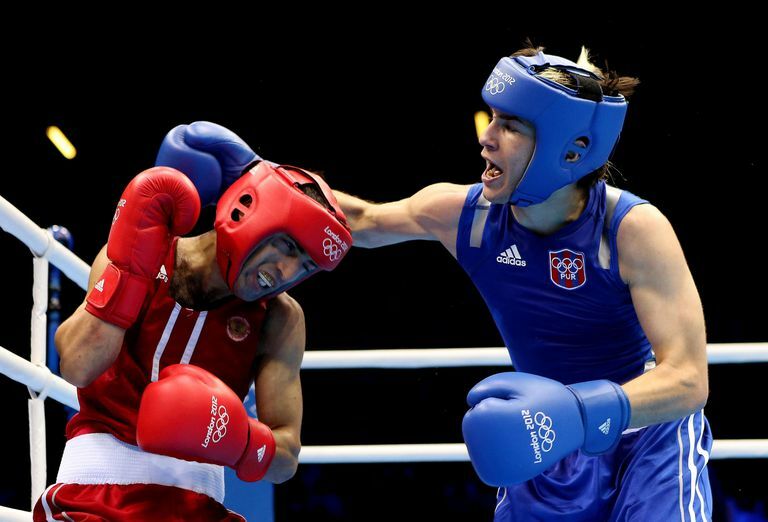 Olympic boxing has a complex set of rules, but the basics are fairly simple. 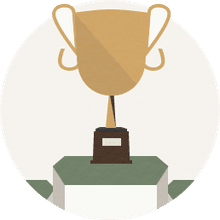 In the Olympics, boxing is a single-elimination tournament with each men's bout consisting of three rounds of three minutes each and each women's bout consisting of four rounds of two minutes each. The winner in each weight class wins the Olympic gold medal. There are more involved rules regarding qualifying for the Olympics, the pairing of boxers for the Olympic tournament, fouls, how a boxer is considered to be "down" on the canvass or knocked out, scoring--which underwent some major changes starting with the 2016 games in Rio de Janeiro--the size of the ring, regulations for weigh-ins and weight classes. Competitors wear either red or blue. Boxers must wear boxing gloves conforming to standards set by the Amateur International Boxing Association. Gloves must weigh 10 ounces and feature a white strip to mark the main hitting area. Bouts are conducted in a square ring measuring 6.1 meters inside the ropes on each side. The floor of the ring consists of canvas stretched over a soft underlay, and it extends 45.72 centimeters outside the ropes. Each side of the ring has four ropes running parallel to it. The lowest one runs 40.66 cm above the ground, and the ropes are 30.48 cm apart. The corners of the ring are distinguished by colors. The corners occupied by the boxers are colored red and blue, and the other two corners--called "neutral" corners--are white. A country can enter a maximum of one athlete per weight category. The host nation is allocated a maximum of six places. Boxers are paired at random--without regard to ranking--and fight in a single-elimination tournament. However, unlike most Olympic events, the loser in each semifinal bout receives a bronze medal. What Sports Are Still Shafted by the Olympics?